Beyonce - the popular multi-talented American, R&B singer, songwriter, record producer, actress and model. She was born and brought up in Houston, Texas. Rihanna is a very popular Barbadian R&B recording artist and model. Beyonce enrolled into various performing arts schools and wished to become a performer since childhood. She started her career as the lead singer in the popular group ‘Destiny's Child' in 1990's. The group became so popular that she rose to sudden fame. Rihanna at the age of 16 came to US to pursue her dream to build up career in the field of music and arts. The song "Killing Time", for the soundtrack to the 1997 film, Men in Black was the major single debut of Destiny's Child. The song was a huge success and in the same year they released a self titled album which topped the chats. This marked the successful career of Beyonce. During the success of Destiny's Child Beyonce started her career as a solo artist with a deal with Columbia Pictures. This multi talented artist also started her career as an actress and model in the mean time. Rihanna started her successful career with the launch of her first solo in the year 2005. Her debut studio album - Music of the Sun peaked in the top ten of the Billboard 200 chart. This album also features the Billboard Hot 100 hit single "Pon de Replay". In 2006 she released her second album, A Girl Like Me, which rated within the top five of the Billboard albums chart. In the same year Rihanna got her fist US number one hit single. Both these artists are at the peak of their career and success. 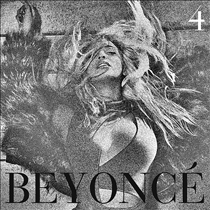 Beyonce has a unique style and a blessed voice which has got a distinctive and fast characteristic. And this is the reason which makes her unique and her songs so popular which can induce goose-bumps and increased heart beat to every music listener. Rihanna is famous for her music style rather than the voice texture. Her style is unique as it is a mixture of pop, R&B and dance hall. Her music also includes various styles of musical genres, including contemporary R&B, dance-pop, and the Caribbean music. Beyonce is the first African-American woman to win ASCAP's (songwriting industry association) Songwriter of the Year award. She received 5 Grammy awards which is the most prestigious award in the music for her album ‘Dangerously in Love'. Beyonce receive the status of the first female artist to get the #1 single and album concurrently in both UK and USA. In 2007, Rihanna won two MTV Video Music Awards, Video of the Year, and Monster Single of the Year - for the hit single Umbrella. Rihanna won her first Grammy Award, in the category - Best Rap/Sung Collaboration, for her hit single Umbrella in 2008. In the same year at the American Music Awards, Rihanna won awards in the Favorite Pop/Rock Female Artist and Favorite Soul/R&B Female Artist categories. Beyonce is a multi talented born artist. She is a singer, song writer, actress, model, producer etc. Beyonce is the first female artist to receive six Grammy awards in a single year. Rihanna is a popular R&B artist from Barbados, famous for her unique blend style of Caribbean music and pop. Beyonce received the status of the first female artist to get the #1 single and album concurrently in both UK and USA. Rihanna was chosen as a spokesmodel for Gucci's first UNICEF advertising campaign. Rihanna is also receives the distinction of the cultural ambassador of Barbados. Which star wears better outfits? Beyonce is not the first african amreican woman to win ASCAP's award KANDI BURRIS IS SHE WON IT IN 2000. Everything about beyonce is FRAUDULENT. She buys awards and she is not a SONGWRITER. Sorry for the TYPO i meant american. They are both musical legends in their own way, but overall I think Beyonce is more popular and probably better, because she is not usually as promiscuious as Rihanna. I think Beyonce can be listened to by almost anyone, she has a song for everyone. She is better than Rihanna live. All Beyonce haters act like they know her personally. How the heck do you know if she's fake or not? She's out there making a difference in the world and in people's lives while you're sitting behind a computer screen. And do you really think she gives a **** about what you say? You will never be her. Not to mention that Beyonce has 16 grammys. Just putting that out there. Saying that Beyonce is a model and an actress is pushing it a bit far. I'll give her singer, songwriter, and producer without a doubt. This article is kinda biased. Pouring more praises on Beyonce and wriitng little on Rihanna. That's so not true. It is biased. Rihanna acts and model better than bey so she is too. I chose Beyonce because in my opinion I think that she's more inspirational and she's more successful than Rihanna. I definitely prefer Rihanna over Beyonce! LIKE YAAAS!